Looking for a way to boost your energy and focus without the crash? 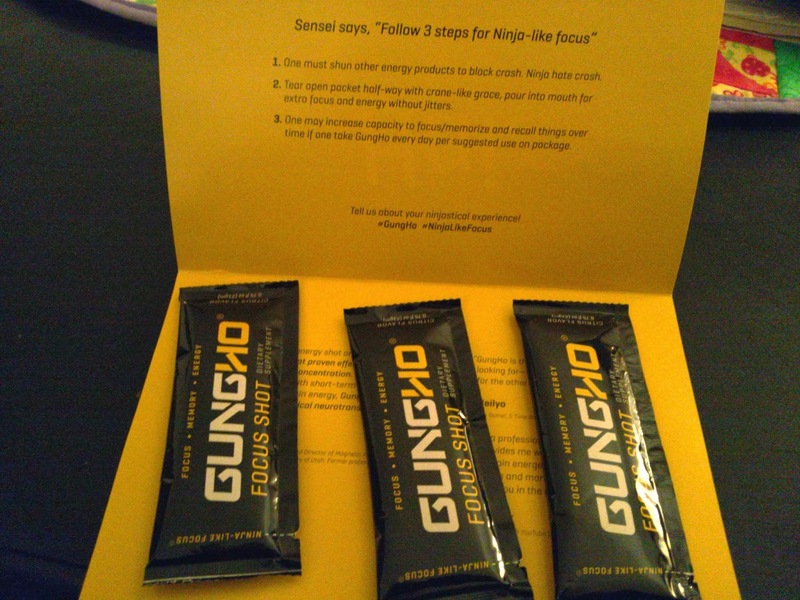 GungHo is a healthy supplement that gives you "Ninja-like focus" without the crash or jitters. It's proven to boost focus, brain energy, memory storage, or recall for tired moms, students, or executives. Best of all, it's all natural and contains no sugar or calories. GungHo comes in little liquid packages that you can throw in your purse, desk drawer, or anywhere. I received a pack of 3 to try, and I loved the packaging they arrived in! 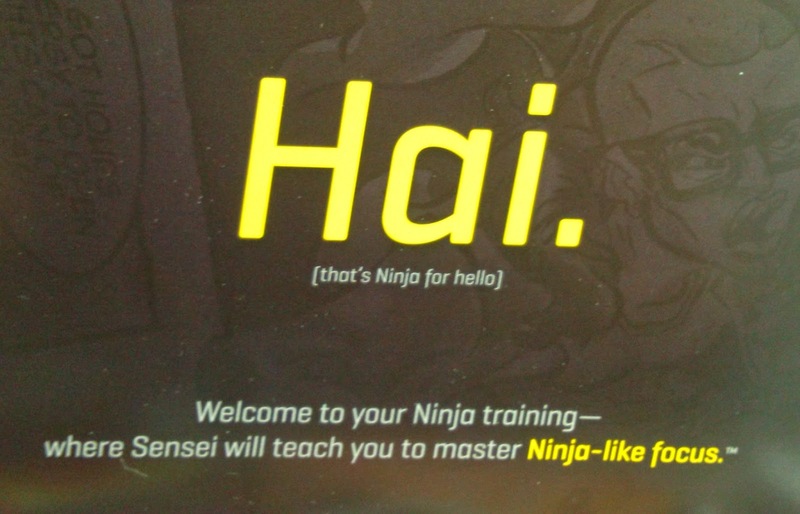 The ninja theme made me laugh, and it made the whole experience more fun. Even the GungHo website is fun to look at - check it out! They also have a monthly discount club called The Dojo that offers special prizes as rewards depending on the number of months you're a member. I love it! I took the GungHo Challenge for 3 days and avoided energy drinks/shots while taking GungHo to boost my energy when I was tired. I did experience the calm burst of energy that was promised without feeling jittery or getting tired later on. It felt very smooth and zen-like when I took this, but I didn't notice any extreme or odd effects - it just felt like Me 2.0. Over time, GungHo is supposed to build brain health, capacity to focus and memory recall. Of course this is impossible to see after just three days, however I did order a couple more packs because I want to try more! According to Dr. Perry Renshaw, Director at The Brain Institute - "Proven focus and brain energy...unlike energy shots that provide short-term energy and no long-term impact on brain energy, GungHoR builds critical neurotransmitters in the brain over time." I'm a stay at home mom to two very very busy little boys, from the time they wake up to the time they go to bed they're constantly running! I'd love to try these!!! I'm a busy mom & full-time worker as the breadwinner of my family. I need all the energy I can get! It's hard to stay up all the time to do homework and still stay awake in college classes. Energy is always helpful! I am the owner of a dog with unlimited energy and a part-time ninja in great need of a regular energy boost. I am a mom of two who play competitive sports and always keep me going.